In a pan of salted boiling water, cook the celery root and garlic until tender. Drain. In the bowl of a food processor, purée the celery root and garlic until smooth. Add the cream. Season with salt and pepper. Keep warm. 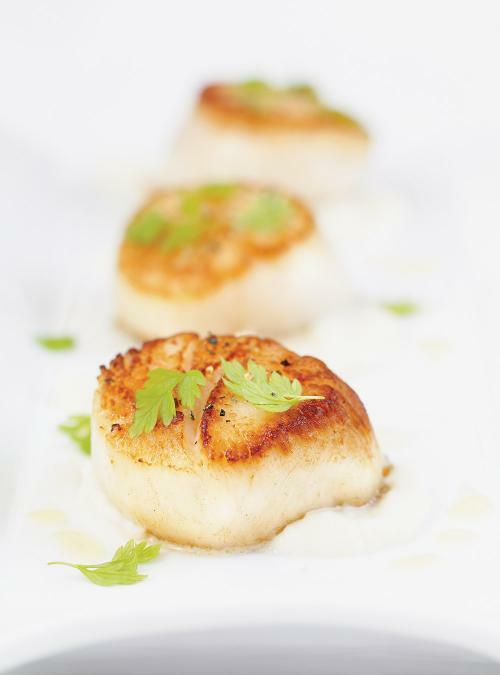 In a large non-stick skillet over high heat, sear the scallops in the oil and butter for about 2 minutes on each side. Season with salt and pepper. 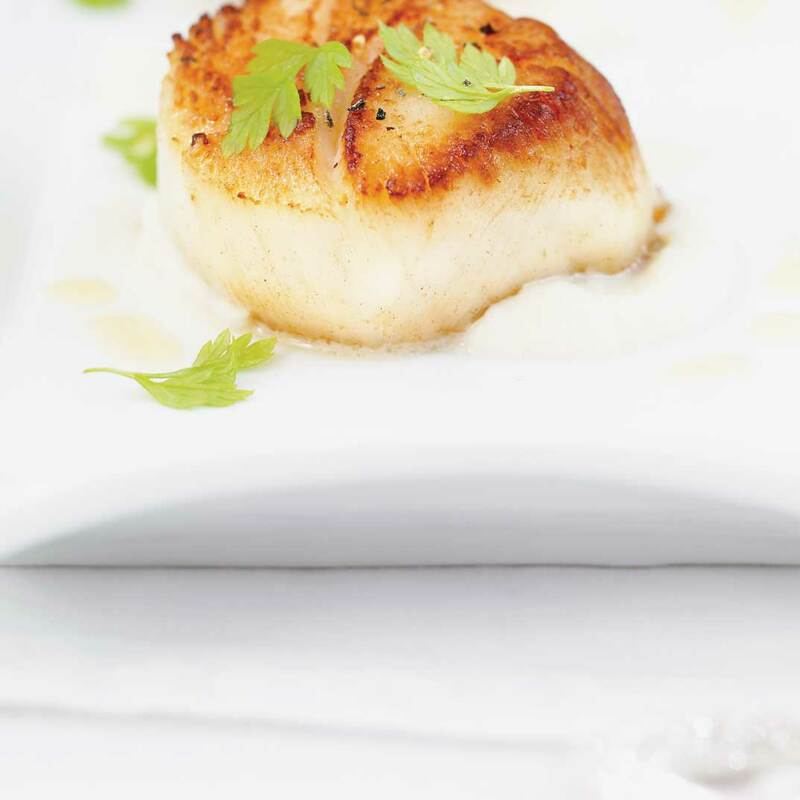 In each plate, draw three lines with the celeriac purée using a spoon and place a scallop on each line. Drizzle with a few drops of good olive oil. Season with pepper. Garnish with chives or chervil. Serve immediately. The celery rook purée can be cooked in advance.